‘Dojo’ are a fantastic new jazz/reggae style band/collective, comprising of eleven very talented musicians. 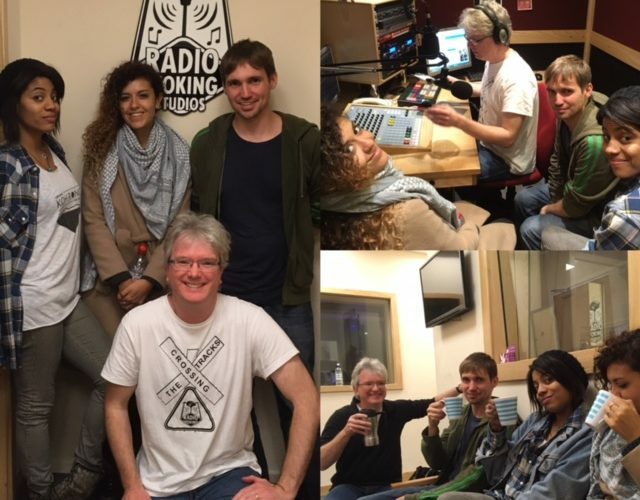 We’ve been playing tracks from their debut album ‘Gaia’ on the show so it was great to meet Ben, Mimi and Marwah last night. They were delightful guests so massive thanks to them for coming in, and also to the whole band for recording some exclusive tracks just for us! You really must listen again to this superb show…Here’s the playlist for you too. Have a great week! We’re back on Bank Holiday Monday!